"Biblical history, enriched by many religious and cultural traditions, flows into and is intertwined with our nation's epic, both for better and for worse. To ignore that history is to cut ourselves off from our roots and to deny the ancestral experiences that forged our individual and collective identity." --from the prologue This substantial work explores the interplay of religion and politics throughout the history of the United States. Paul D. Hanson traces American history back to colonial times, paying close attention to the role that biblical tradition has played in shaping the national story of the United States. 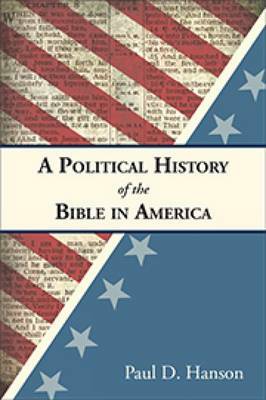 He then presents a detailed study of politics in the Bible that is framed by the challenges and crises in American history. Students will learn how deeply religion has influenced both domestic and international policy and contributed to the nation's sense of identity and purpose. After laying these biblical-historical foundations, Hanson considers a method of biblical interpretation that can speak to the diverse nation of today. He proposes an inclusive form of public moral discourse that invites full participation by members of all religious and philosophical groups.